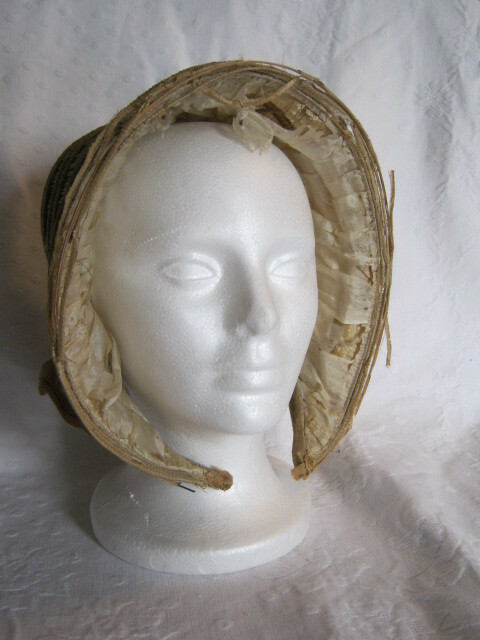 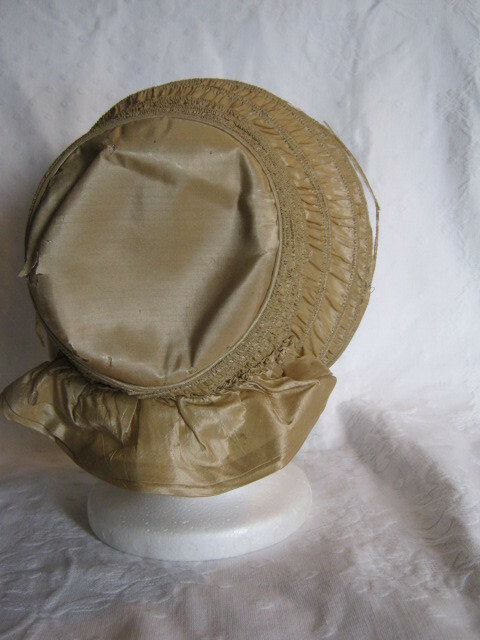 This is an ivory silk taffeta caned bonnet from the 1840-1850 period and is a little different from the other one I have listed. The bonnet is a nice display piece. 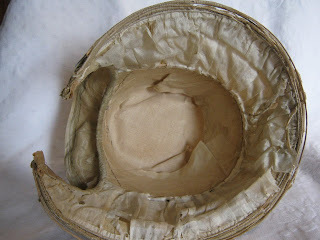 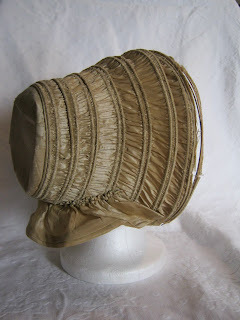 The sheer silk lining is fragile and torn inside the brim as pictured and could be hidden with some decorative flowers or other millinery trims. Thanks for looking. 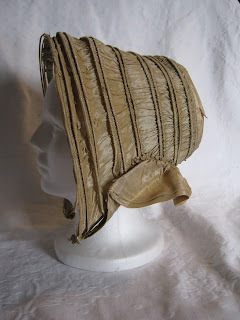 As I said before, I'm not nearly as good with hats as I am with dresses, but the 1840's sounds about right for this bonnet.